This is not my vegetable garden – I wish it was, but it isn’t. It belongs to my friends Christine and Nathan who are not only my friends, but my informal allotment and vegetable mentors. I caught the vegetable growing bug from my mum and dad and grandparents. To be honest until I was quite old, I was under the impression that everyone had lots of books in their house – and a selection of alcoholic beverages – and grew their own food. It was a huge shock finding out how much strawberries cost at the shop when I left home, and that some people just grew flowers or grass in their garden! Over the past 8 years or so Christine and Nathan have provided great company and garden inspiration. 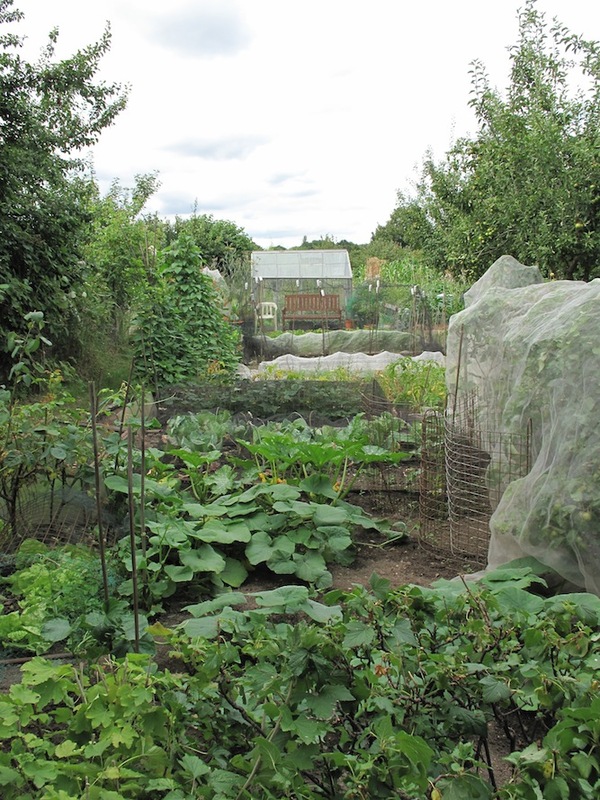 A couple of times a year I visit their allotment in London. I was there when James had his thunderclap headache back in June and got whizzed to hospital – he is fine now – see here. 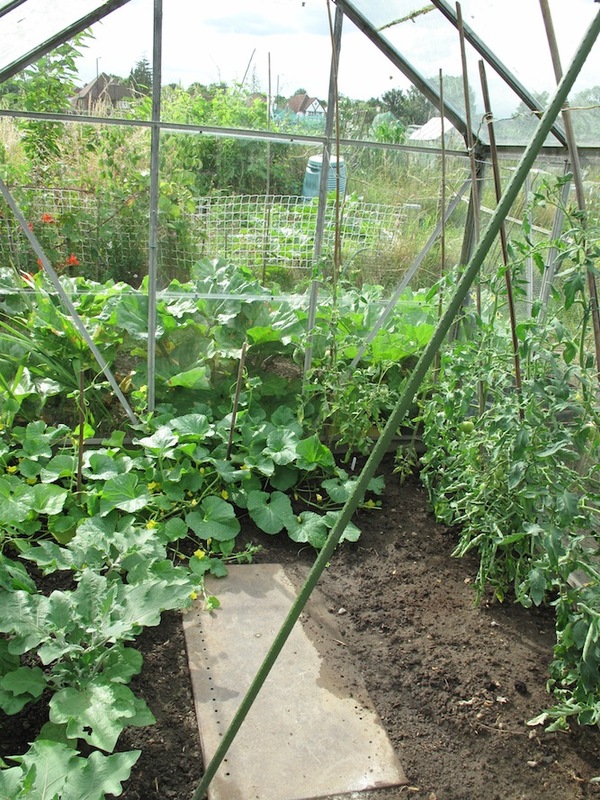 Their allotment is perfect, a haven, a joy to visit. Last year they won the best allotment award for their plot. 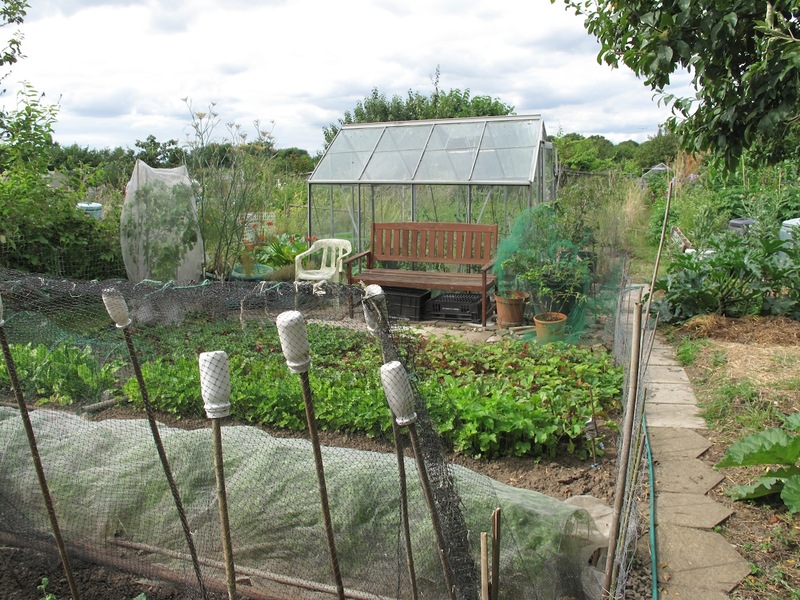 Although my vegetable patch isn’t anywhere near as neat and tidy – nor weed free as theirs I have learned a lot about how to grow vegetables and fruit: which vegetables need covering, when and how to plant seeds, how to prune …. the list goes on. Last year when they down-sized to just half a plot they gave me some of their strawberries, currant bushes and a fig tree. 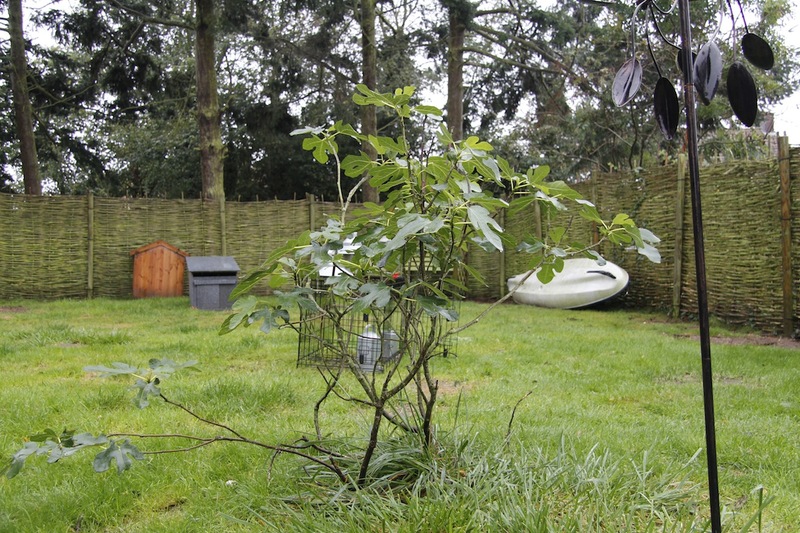 The fig tree is now in our front garden (it is south facing) and although it was touch and go whether it would survive it has pulled through. The bushes are in holding positions waiting for James and myself to build the new soft fruit superstructure – maybe this winter, but realistically we need to build sheep shelters first especially as we hope to be lambing this coming spring. Although visiting the allotment and admiring the beautiful fruit and vegetables is lovely (and always makes me want to rush home and start weeding) the best bit is having a picnic lunch and spending a few hours talking about all sorts of subjects from Italian art, recent exhibitions, trips they have made, the campsite, my work, politics, our lives. They are both really interesting people and I am lucky to have them in my life. The last time I visited they made three new dishes for the picnic. I have been waiting to post about this as I wanted to recreate at least the courgette dish and take a photo of it to post here. My courgettes weren’t great this year and they have now finished so I will post the recipe without a photo and will take one next year instead. Christine’s Moroccan Courgette Salad: 3-ish courgettes, 3 tbs olive oil, 2 crushed cloves of garlic, juice of one lemon, 2 tsp of brown sugar, 3 tabs chopped or flaked almonds, small handful of raisins or sultanas, salt and pepper. Slice courgettes into ribbons with a mandolin or potato peeler. Fry the garlic gently in the olive oil, then add courgettes and stir. Add in lemon juice, sugar, almonds, raisins and seasoning. Simmer for about 10 minutes until courgettes are cooked. if there is too much water, turn up the heat for a bit to reduce. You can eat it warm or at room temperature – it is utterly delicious. I will post the recipes for the delicious salmon bake and amazingly alcoholic jelly later.